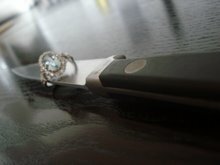 After doing a little web perusing I found out something very interesting...there are a generous amount of chef wife bloggers out there. I've got 17 alone on my blog role and there's probably more out there. 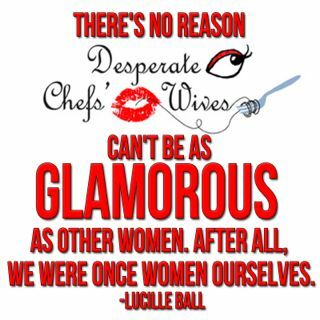 by the way, if you know of any more chef wife bloggers- please send me the link. What does this say about us. Well, for one, blogging has become increasingly popular. I think this is due in part to the wonderful feeling of validation we feel when realizing there are others in the same boat with us. And if there are other women in the same boat- then we have more of a chance of making it through the storm safely. The old adage of "power in numbers" comes to mind. There are countless amounts of blogs in the areas of motherhood, shopping, and of course: cooking. But there is something special about our very unique group of women- which happens to include, mothers, shoppers, and cooks as well. Also on the web, I found blogs from the wives of farmers, doctors, electricians, preachers, musicians, and soldiers. So I guess no matter who your husband is or what he does, women have an human need to find comfort in the support of other wives. And in 2011 we may not find that support at a bridge club meeting or Wednesday night fish fry, but we find it just the same. So glad I found your blog! 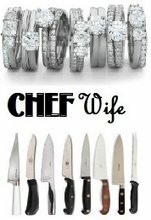 I have a mommy blog, but I am, indeed, a chefwife. I occasionally refer to my hubby's crazy worklife, but for the most I just muse on dealing with everything myself while he is at work. I hope you TM's the "DCW's" name??!! ...here's hoping you see a paycheck from NBC's new show! !